Jinming Superex with Next-generation High-efficiency Cooling Air Ring - China - Jinming Machinery (Guangdong) Co., Ltd.
As China’s first and largest manufacturer of blown film equipment, Guangdong Jinming Machinery Co., Ltd.(www.jmjj.com) has been an industrial leader in China, with advanced multi-layer co-extrusion blown film technology. 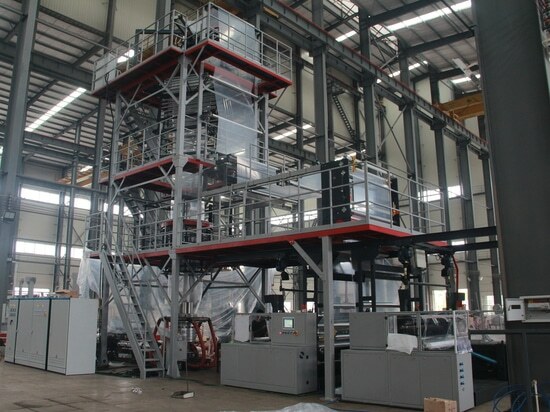 With the rapid development of the plastic packaging industry, customers have increasing demands for high-end equipments. To meet customer demands for automatic control and high-end performance, Jinming Machinery has successfully developed high-end SuperexTM equipment, based on cutting-edge design philosophy and technology. SuperexTM Blown Film Lines use advanced processing technology, dies and runners, and a next-generation high-efficiency multi-outlet cooling air ring independently developed and produced by Jinming Machinery to achieve high-degree automation and high productivity. Jinming Machinery is one of the few blown film equipment manufacturers using this technology in the world. 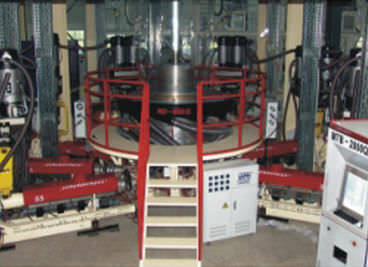 Air ring cooling is crucial to the output, quality and physical properties of blown film products. With the progress of film-blowing equipment technologies, the air ring design has been improved from the traditional one outlet and two outlets to multiple outlets, and from precision air rings to automatic air rings. Jinming Machinery’s proprietary next-generation high-efficiency cooling air ring has more than 3 outlets, and the air volume of each outlet is adjusted automatically according to the actual situation. The air ring can be lifted and lowered along the die axle center. 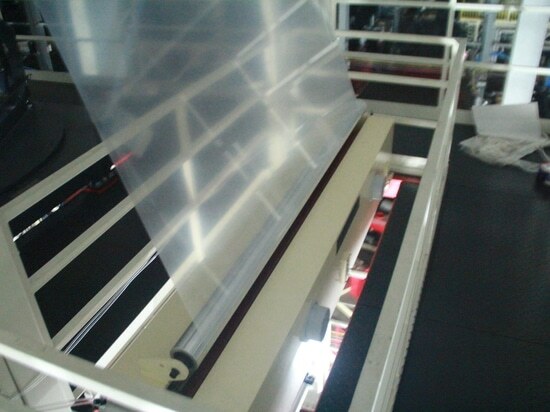 The air flows through several sections to increase the contact surface with the film bubble, and thus prolonging the cooling time and improving the cooling efficiency. Besides, the pre-cooled film bubble will have higher melt strength. The air volume of the upper outlet can be increased without causing instability of the film bubble. Jinming Machinery’s proprietary next-generation high-efficiency multi-outlet cooling air ring increases the cooling efficiency by more than 40% compared with common air rings (or automatic air rings) with double outlets in the China market. As a result, the output of the production line will increase by 40-50% when the extrusion capacity is ensured. Testing data show that the production capacity of a 300mm die is up to 420kg/h, which is ranked at the top in the industry. 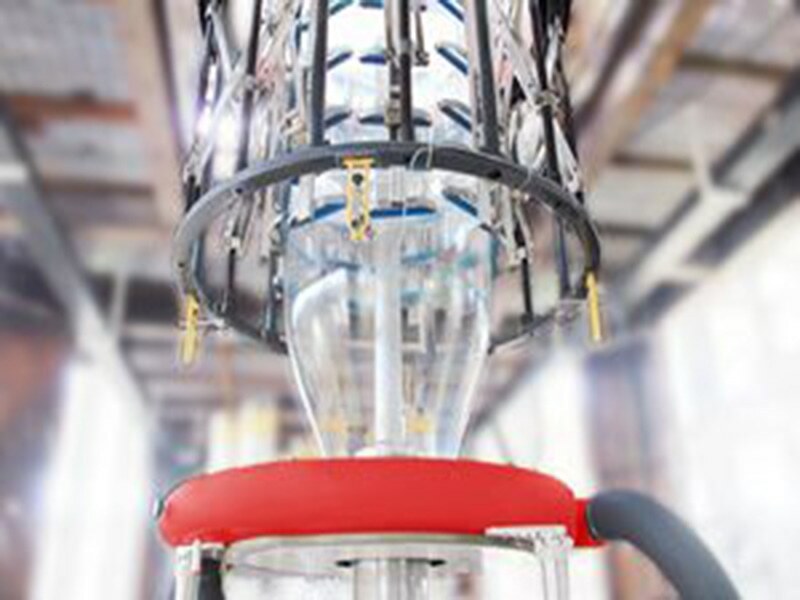 After coming out of the die, the film bubble will first be pre-cooled at the lower air ring, and then blown up at the upper air ring so that the film bubble will have high strength and the products will have a high blown-up ratio. This cooling technique is similar to the POF and HDPE blow-up method. Automatic air ring technology is used in the design of the upper air ring for blow-up cooling control and an online film thickness measuring system is used for automatic film thickness control. Because the upper air outlet is away from the high-temperature die and the film bubble is pre-cooled, the precision control of the automatic air ring is less affected by external factors to achieve good control stability and high efficiency. Different from the process in which the film bubble is blown up after being out of the die, the film bubble will not be blown up until it is pre-cooled. 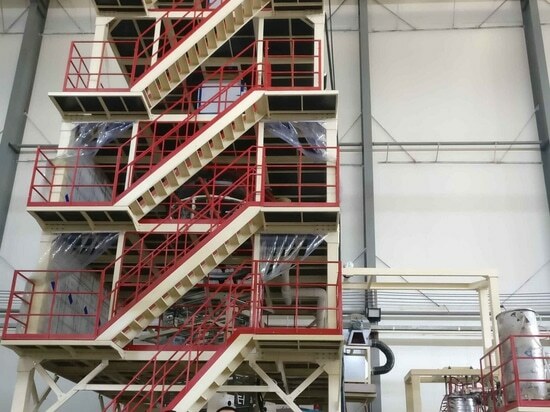 High polymer materials if stretched in quasi-viscous flow state will have a lower degree of crystallization, and thus the film transparency and mechanical properties will be greatly improved. Compared with traditional air rings, the next-generation high-efficient multi-outlet air ring increases production capacity by 40-50% but the manufacturing cost increases by only 40%. The newly-increased cost will be recovered by the electricity expenses saved in six months. 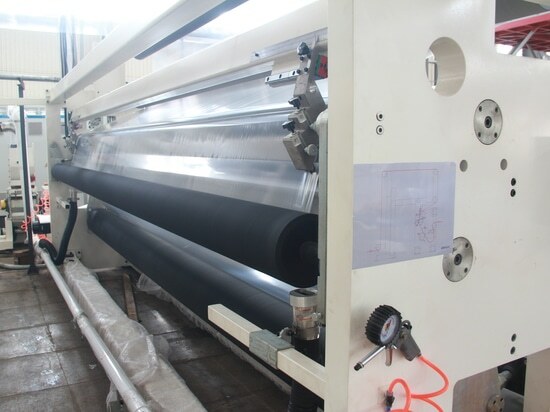 For more information about Jinming Superex high-performance blown film lines, please call (86)0754-89811333 or send email to sales@jmjj.com.